Today new gun control laws limiting ammunition magazine capacity to 15 rounds go into effect in Colorado. Magpul industries, a company based in Colorado that manufactures standard capacity 30-round magazines and firearms accessories, held an event over the weekend to give away thousands of magazines, flooding the state before the ban goes into effect. Gun-owners and gun-lovers converged on Infinity Park on Saturday afternoon in a last-minute protest against a new Colorado law banning the sale of magazines of more than 15 rounds. "You are in the Vatican of liberty, the Luxembourg of freedom," Glendale Mayor Mike Dunfon told the crowd at the beginning of the rally. Organizers say some 5,000 people attended the "Farewell to Arms Freedom" festival, which was hosted by Free Colorado, a nonprofit group that advocates for firearms rights. Magpul donated a total of 20,000 magazines for the event, which featured live music, speakers and food. All the free magazines arrived, with great fanfare, via helicopter. 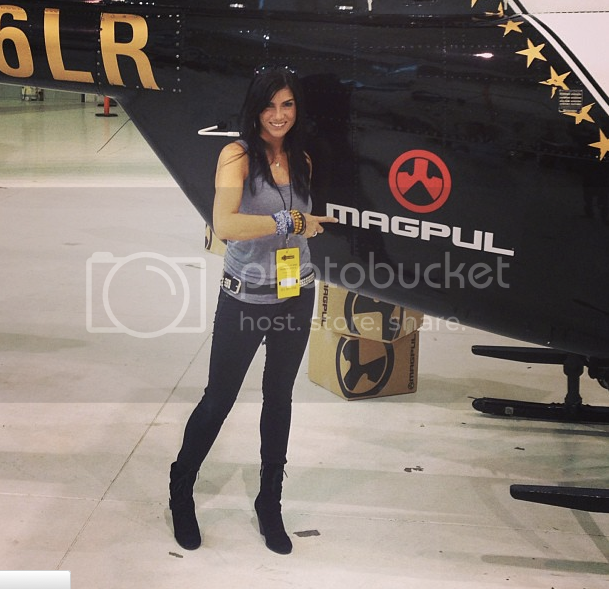 Event organizers brought in talk radio host Dana Loesch (who is banned from Piers Morgan's television show) via helicopter to distribute the magazines. And the best part? Money raised from the event will help fund recalls of politicians who voted for the magazine bans. The rest were sold at a discounted price of $10, with all of the proceeds going to the group's recall efforts against state Senate President John Morse and state Sen. Angela Giron, both Democrats. Magpul is in talks to take their business, and jobs, elsewhere.